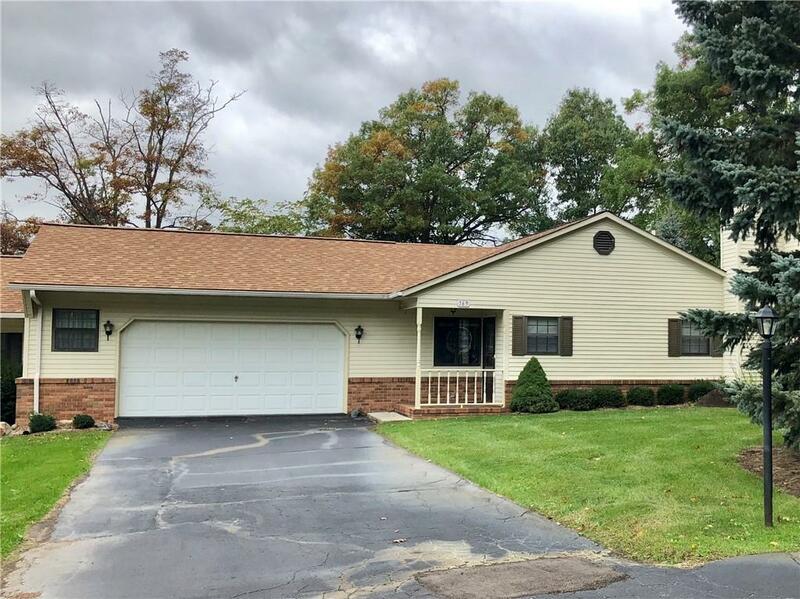 Spacious ranch condo with a full walk-out basement. Condo backs to woods and is located near the end of the road for peace and privacy. Multiple closets in both bedrooms. A large 25 x 10 room in the basement would be perfect hobby room or future bedroom. A large retractable awning provides shelter/cover while enjoying the oversized deck. Community well, septic and water softener maintained, as well as snow removal and lawn/sprinkler care as part of monthly fee. Designated as 55+ complex. Bring your decorating ideas and your condo will be perfect.